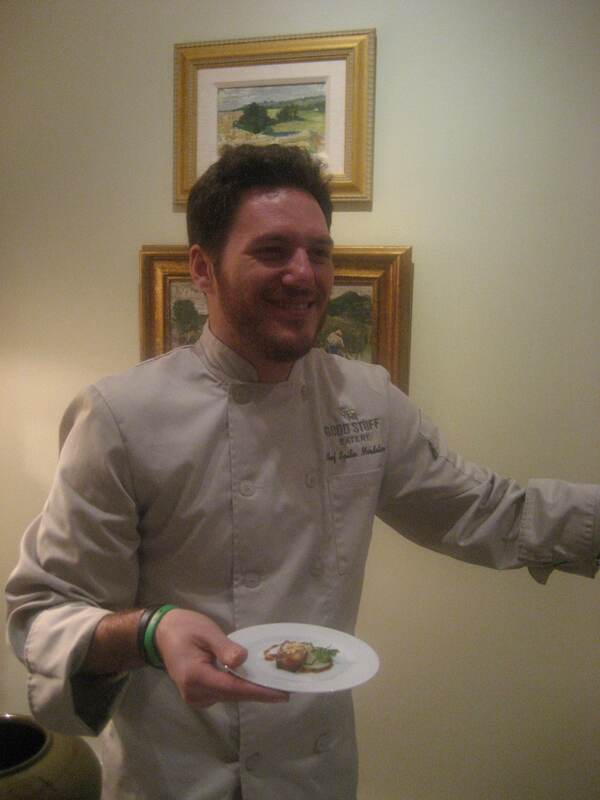 It’s hard to imagine Spike Mendelsohn deep in the weeds in a restaurant kitchen. He’s a personality, a character – the smirk and the fedoras are too colorful to keep under wraps behind the scenes. One of the things that guests at Good Stuff Eatery love is that they frequently find the former Top Chef contestant front and center when they stop in for the balanced meal that is a Blazin’ Barn burger and a Toasted Marshmallow milkshake. As a result, it’s easy to forget that he and his cohorts at Good Stuff Eatery, Mike Colletti and Brian Lacayo, come from a sit-down restaurant background. Working in popular New York restaurants like Mai House and Le Cirque, they’ve honed some pretty serious upscale dining chops. Last month, they gave lucky guests at Alice Waters’ Sunday Night Sips event a tasty reminder. On Sunday night, Spike and his team take on Michael Symon in the first episode of the new season of Iron Chef America. In between publishing a Good Stuff Eatery cookbook and preparing to open We The Pizza next door, they found time to head up to Kitchen Stadium for what Spike described as “a kitchen brawl.” And you can bet the secret ingredient wasn’t burgers. We caught up with Spike to ask about the experience and some of the interesting connections that show what a small world the restaurant business really is. Capital Spice: Why Iron Chef? Spike Mendelsohn: We’ve been doing Good Stuff Eatery for a year and a half now, and it’s been great. But we’re not just about burgers. Iron Chef was an opportunity for me, Colletti and Brian to put on chef coats and get our hands dirty again. CS: What was it like to go head to head with Michael Symon? SM: It’s funny…they always advertise the show as a one-on-one competition, but it’s really all about the team. I didn’t feel like it was just me competing against Symon, it was the three of us working together against the three of them. I really hope that comes across on television. As we mentioned earlier, we really were impressed by the scope of the entries we received for this contest. 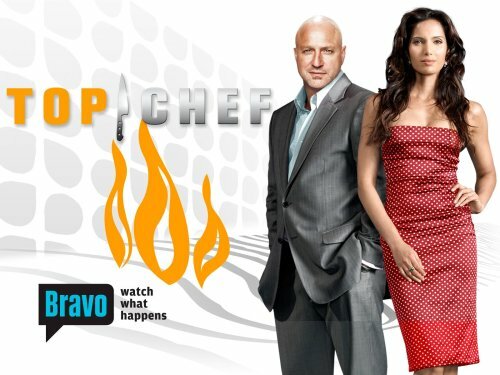 If the producers of Top Chef just worked with the 80+ suggestions we received, they could easily fill an entire season of quickfire and elimination challenges in the nation’s capital. 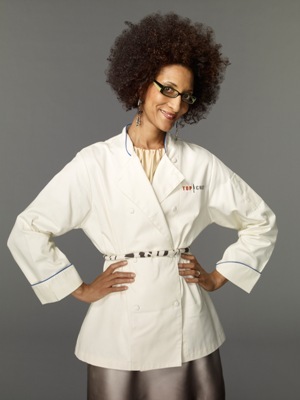 You’ve certainly done your part to help show what a great backdrop DC could offer for Top Chef. We’re grateful to Bravo’s “Eat Tastefully” for giving us the opportunity to offer this contest in the first place. 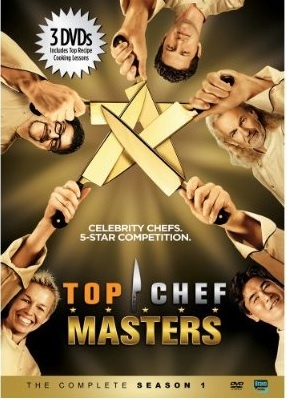 The winner will receive a prize package that includes a DVD set of Top Chef Season 5 and a copy of the new Top Chef Quickfire Cookbook. In some of these cases, it was the little details that set them apart from others who made similar suggestions. In others, it was their absolute originality that made us smile. We had a few obvious shills in and among the suggestions, but even they were respectful and obviously eager to show how they could be a part of showing what’s best about the DC food scene. But there was one suggestion that stood out in our minds from the very beginning. It had that “just-right” feel that makes you say “Of course!” when you read it. Combining the uniqueness of Washington with the spirit of Top Chef and the very concept of judging, our winner hit the nail right on the head. There’s something about the idea of seeing the chefs in their coats serving to the Justices in their black robes that worked for us. So congratulations to Amy for her winning suggestion – we’ll be getting in touch with you today to arrange the shipping of your prize package. 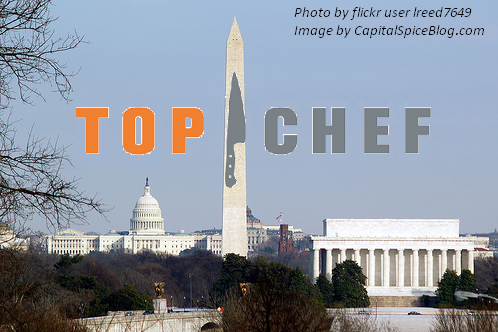 And thanks to everyone who helped us make the case for DC as an ideal Top Chef host city.